Welcome to the fashion no man’s land between the New Year’s clearance sales and the start of the new season spring wear. At the retail level, this is a fraught time, as the toasty winter gear that customers need to get them through to the end of February was either sold to them at full price in early November or at a cut price in the January sales. That leaves at least two solid months of retailers trying their best to get customers amped for spring trends, while the winds still blow icy cold outside. It is also the season when companies restructure their retail portfolios as the end of the financial year draws to a close, with shop closures making way for new shoots of fashion popping up in the following months. The most high-profile closure so far is the once highly popular hypergirly Liz Lisa, which is pulling its Takeshita-dori Harajuku store on Jan. 31, as well as three others nationwide. Sticking to its retro girlish fixed formula may have won it more fans from overseas but, unfortunately, it lost the trend-focused domestic market. There can be a slightly depressing mood as sale signs mix with other similar closure notices, but keep in mind that this sparse mood will pass. With Valentine’s Day on the horizon and the chocolate market saturated, some retail is at least doing its best to crowbar anything fashion-related into the celebration. At the industry end of the equation, however, the gears are already spinning and the wheels are in motion to get the clothing you’ll be wearing later this year into production. Not only is the countdown to March’s Amazon Fashion Week Tokyo already ticking, but many of the leading lights of Japanese fashion have already played their hand at the European fashion capitals of London, Milan and Paris. 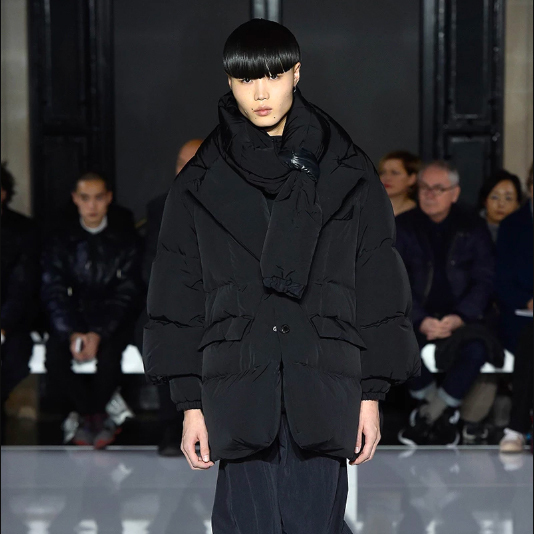 Having proven themselves domestically, the likes of Fumito Ganryu of Comme des Garcons fame, Ambush, and Takahiromiyashita The Soloist have now made Paris their home for the menswear season. 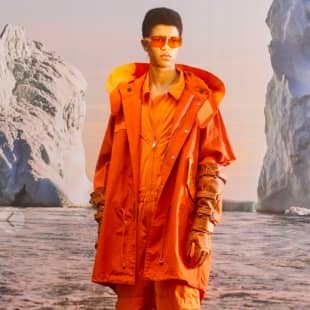 They all also took the time to send some women’s looks down the runway, showing that men’s collections are a good entry point to Europe for Japanese fashion brands, a trend we are likely to see reinforced in the future. One of the real surprise success stories of the European fashion collections was men’s underwear label Toot, which took Milan with aplomb. Its very skimpy silk boxers, swimwear and briefs (even their trunks leave very little to the imagination) drew plenty of attention on the runways of Tokyo for the past couple of seasons. But for a company aiming to sell bikini-cut swimwear and glow-in-the-dark or tasseled thongs to men, seeking to reach the larger global market is not a bad move. Luckily, the reaction from Italy was a resounding “si!” to the unabashed display of male peacocking. Check the brand’s videos online for an enlivening view of its lineup. If you think your man can pull it off, remember Valentine’s Day is coming! The custom in Japan on Valentine’s Day is to reserve it as an opportunity for women to give pretty much any man in the near vicinity — colleagues, family members and friends — fancy chocolate. It’s not until a full calendar month later, on White Day, a celebration invented by the National Confectionery Industry Association in 1978, that women get their recognition. Today, things are starting to become a little more inclusive and in line with the Western notion of Valentine’s Day. At Isetan Shinjuku, up until the big day you will find not just chocolates and gifts to show appreciation for the men in your life, but also items designed to appeal to women. Men’s gifts include small leather goods and underwear, while for women there is a whole range of items, including cosmetics and sweets. These aren’t just for men to give to women, though, these are marketed for women to give to each other, to their children and to themselves. No one need miss out on sharing the love. One of the highlights is a variety of kids’ fashion label Shirley Temple exclusives, including a collaboration with kawaii icon Hello Kitty, on sale Feb. 6-19. The Six Period. crowdfunding campaign | SIX PERIOD. Finally, the street scene hasn’t gone quiet, it just went online. These days, edgy streetwear up-and-comers are less likely to try funding their creative projects, as their fashion forebears did, by remaking vintage T-shirts on the side. Instead they have embraced crowdfunding sites. 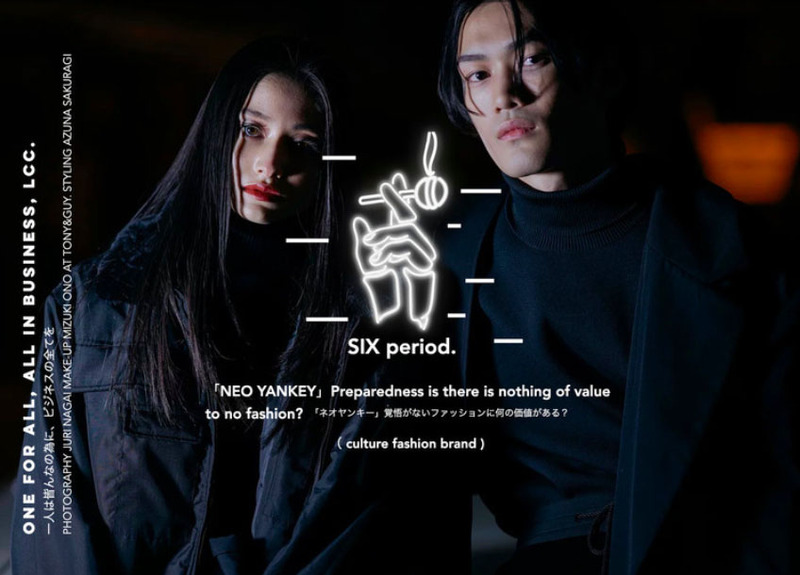 That is exactly where we find young streetwear label Six Period., which is bang on the current mood with sardonic sweaters spliced with traditional Japanese kimono. The brand comes from current Bunka Fashion College student Azuna Sakuragi, who aims to re-dress the Japanese yankii (teen delinquent) scene for the digital age. If you want to support him in his endeavors then check his online Campfire campaign. Pledgers can choose items from the debut collection at reduced rates, among other rewards.